Enjoy the top 1 famous quotes, sayings and quotations by Ainslie Sheridan. “Why do you like show jumping?" horse and rider forming an arc of beauty, efficiency, and power, like a double helix." Want to see more pictures of Ainslie Sheridan quotes? 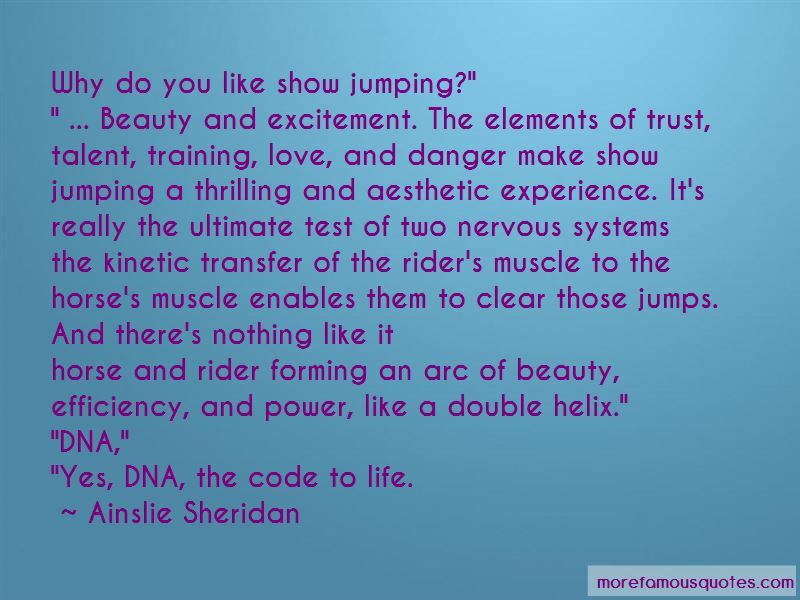 Click on image of Ainslie Sheridan quotes to view full size.